Check & Connect Comprehensive Implementation Training is a comprehensive 2-day training blending elements of both the Preparation and Implementation Training and the Mentor Training. 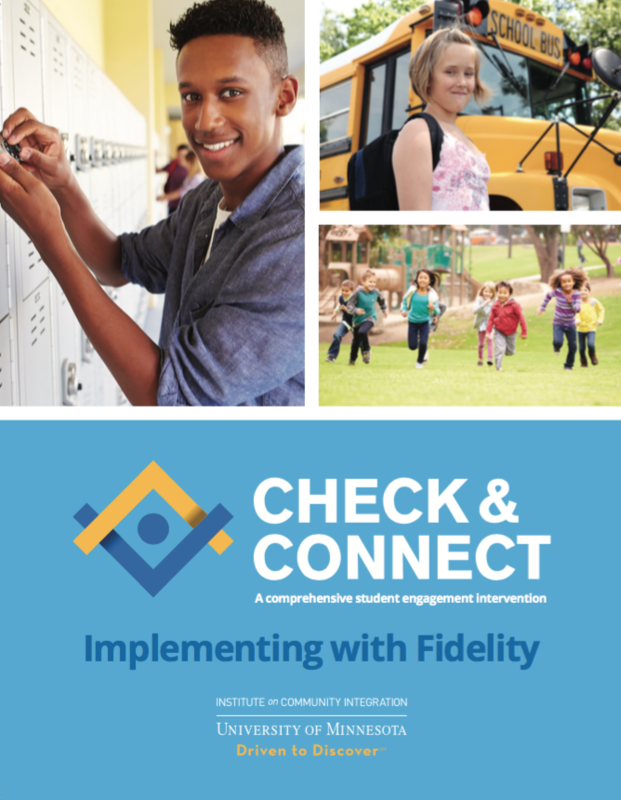 This training provides participants with a thorough overview of Check & Connect and its background; information about how to prepare their site to implement Check & Connect; and the information, competencies, and skills needed to be an effective Check & Connect mentor. The training is designed for education administrators, lead staff (decision-making stakeholders), Check & Connect site coordinators, and Check & Connect mentors. The cost for the upcoming April 19-20 Comprehensive Implementation Training is $575/participant. However, beginning June 1, 2018, the cost for the Comprehensive Implementation open enrollment trainings will be $625/participant, or $595/participant if registering by the early bird deadline.